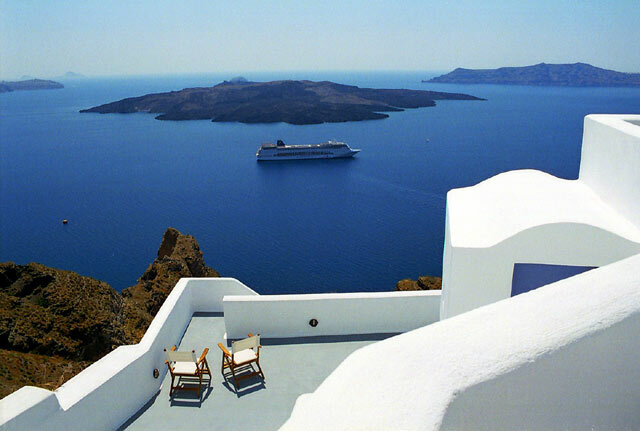 At the town of Fira, Santorini's capital,NEOKLASSIKO KOUKOULI is amphitheatrically built on the edge of the Kaldera, facing the breathtaking view of the volcano and the Aegean Sea. NEOKLASSIKO KOUKOULI was built over 200 ago. 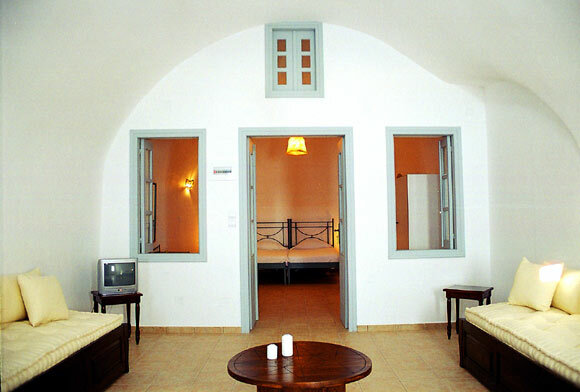 It had accommodated many distinguished guests, such as Kondylis, former Prime Minister of Greece, Pesce, Austrian painter, Tridault, former Prime Minister of Canada and many others. 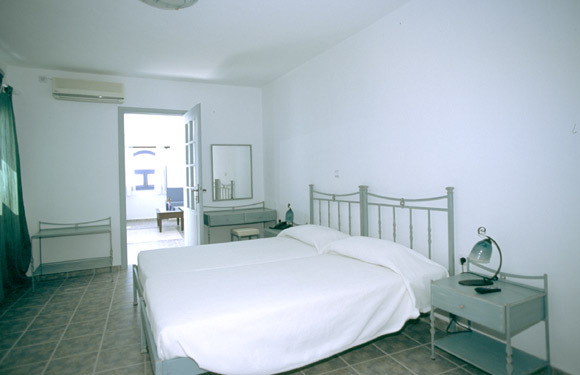 It has been a point of reference for the island's society as it had also been used as an ophthalmic and dental center. 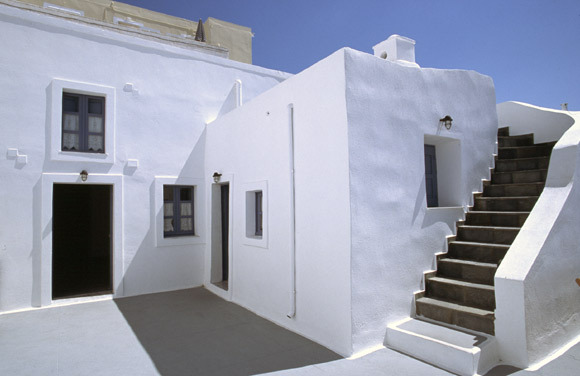 Recently, NEOKLASSIKO KOUKOULI was restored using traditional building methods. 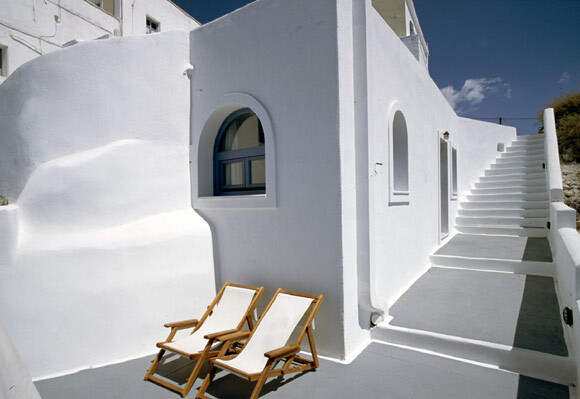 It consists of apartments that combine the atmosphere of a neoclassic mansion and the magnetism of cycladic architecture with contemporary conveniences. 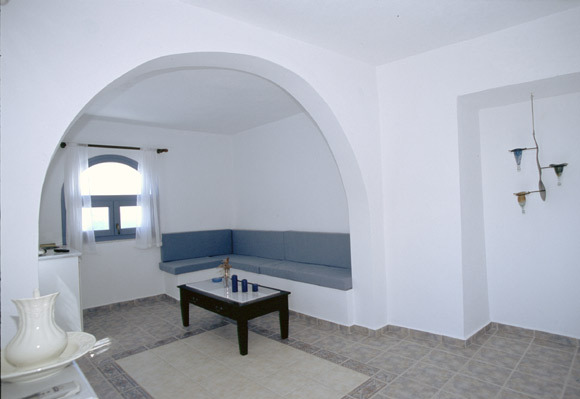 Each apartment is furnished in the cycladic style that reflects the tradition and uniqueness of Santorini and provides its guests with a pleasant and comfortable stay. 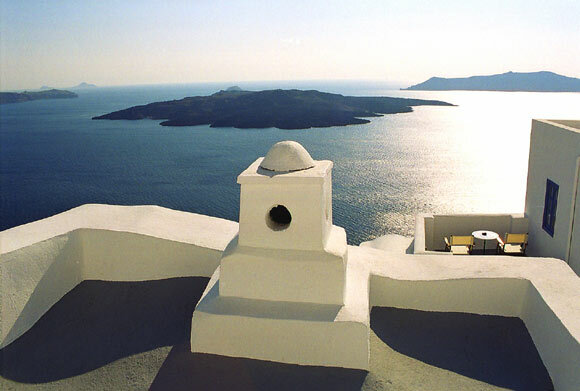 NEOKLASSIKO KOUKOULI is ideally located at the edge of the city of Fira offering easy access by car and easy reach (two minutes by foot) to the busy commercial and tourist center of Fira. 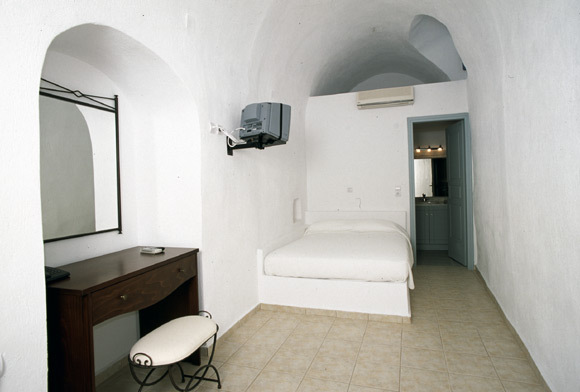 At the same time its guests can also be isolated if they so desire. 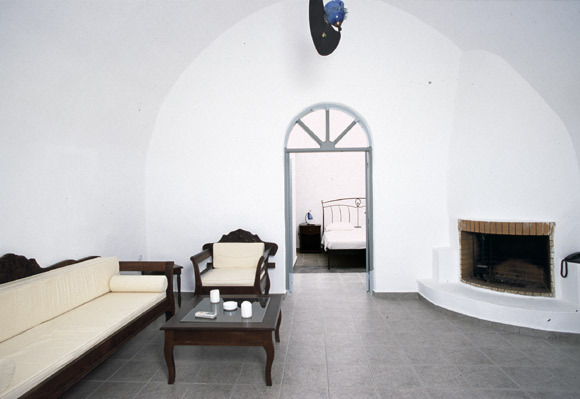 NEOKLASSIKO KOUKOULI is ideally situated at the edge of the city of Fira combining direct access by car and walking proximity (2 minutes) to the commercial and tourist city center with the isolation of a remote location. For Breakfast 8 Euro extra.